Attorney at Cannon & Dunphy S.C.
Attorney Allan M. Foeckler carved out a name for himself throughout the courtrooms of Wisconsin through a detail-oriented approach to personal injury law that has resulted in countless successful settlements and verdicts. 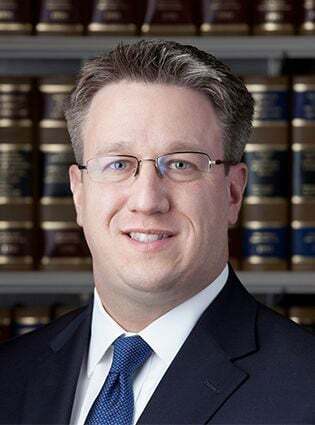 He is a member of several legal organizations throughout Wisconsin, including the Milwaukee Chapter of the American Constitution Society, the Wisconsin Judicial Council, the Milwaukee Young Lawyers Association, and the Wisconsin Association for Justice. Mr. Foeckler graduated from Marquette University Law School, where he was a member of Alpha Sigma Nu Honor Society and part of the Marquette Law Review. Over the years fighting for the rights of injured victims, he has earned numerous notable awards, including being named to the list of Super Lawyers every year since 2012. Mr. Foeckler also earned the 2017 Robert L. Habush Trial Lawyer of the Year award from the Wisconsin Association for Justice after successfully representing victims who were killed and injured after a 13.5-ton panel fell from the O’Donnell Park garage façade. In addition to his legal duties, Mr. Foeckler remains an invested member of his local community, including serving as Interim Mayor of Oak Creek from December of 2011 through April of 2012, a Trustee of the Wisconsin Civil Justice Education Foundation, board member of the Oak Creek Little League, and board member of the Oak Creek Library Foundation. In 2011, my elderly parents were involved in a traffic collision when a person driving another vehicle disregarded a red traffic control signal and T-Boned their car. Thankfully, my parents were not seriously injured but they were pretty banged up and their car was a total loss. My parents retained your firm and Mr. Foeckler was assigned the case. My mother, whose health was poor before the crash, subsequently passed a few years later. The settlement was modest-a few thousand dollars, but the money was awarded after my mother’s death. Mr. Foeckler assisted my father with the probate case and even went as far as to pick my dad up at his home and drive him to court. I know some attorneys offer to come to a client’s home, as advertised on television, and Mr. Foeckler did that as well in the initial phases of my parents’ case, but this act was far above and beyond what I would ever have expected; especially for a tiny settlement. I actually sought the unofficial advice of a very good friend and neighbor of yours, who is very well acquainted with the courts, and he suggested I contact your firm. Come to think of it I believe my friend might have mentioned it to you and Mr. Foeckler contacted me. Anyway, the way Mr. Foeckler treated my father, confirms that your firm, and it’s representatives are genuinely interested in helping people, regardless of the size of the case. Please pass along my gratitude to Mr. Foeckler for the kindness he showed towards my parents.